Austria based Noctua loves their fans; I’m talking about the spinning variety of course, or ‘Lüfter‘ as they refer to it. 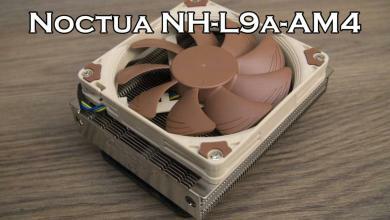 Fans are deceptively simple and most people tend not to look too hard on how it works, but not Noctua. 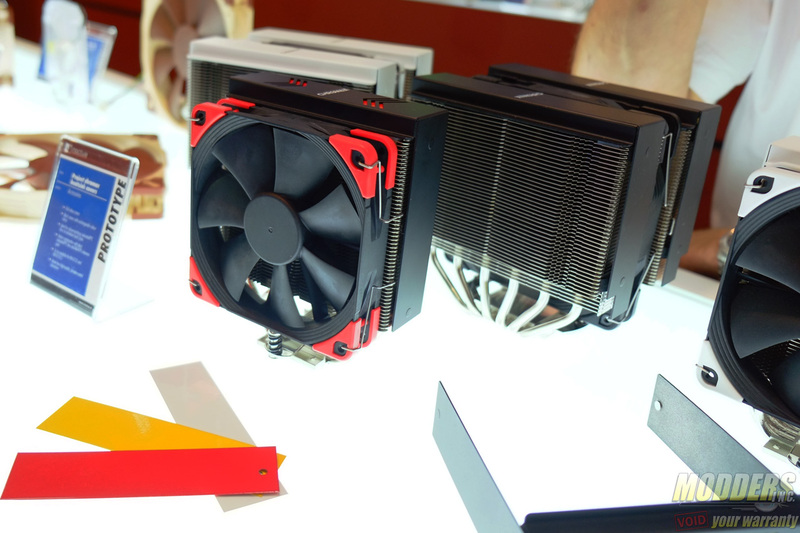 They dedicate years to developing a fan to market and at the World Trade Center Nanggang Exhibition Hall during Computex every year, they show prototypes of what they are currently working on. 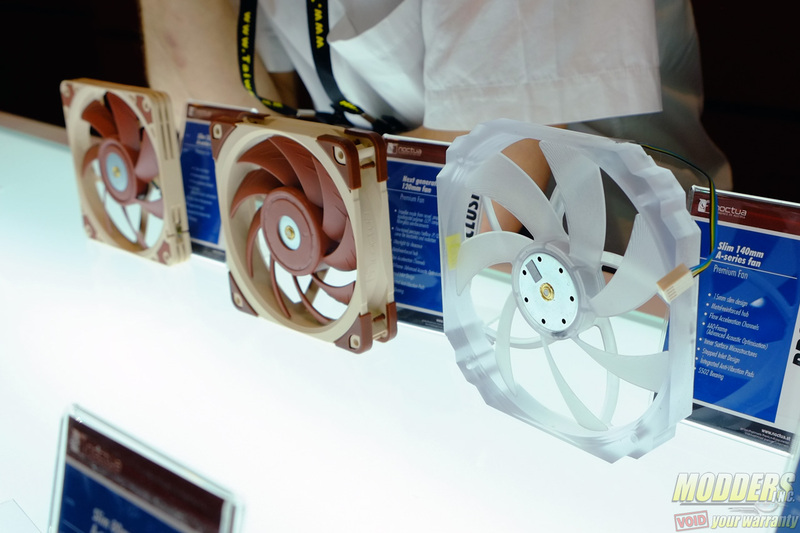 Front and centre were Noctua’s latest addition to the A-series with slimline 140×15, 120×15, 80×15, 70×15, 60×15, 40×20 and 50x10mm fans sporting transluscent frames and blades. 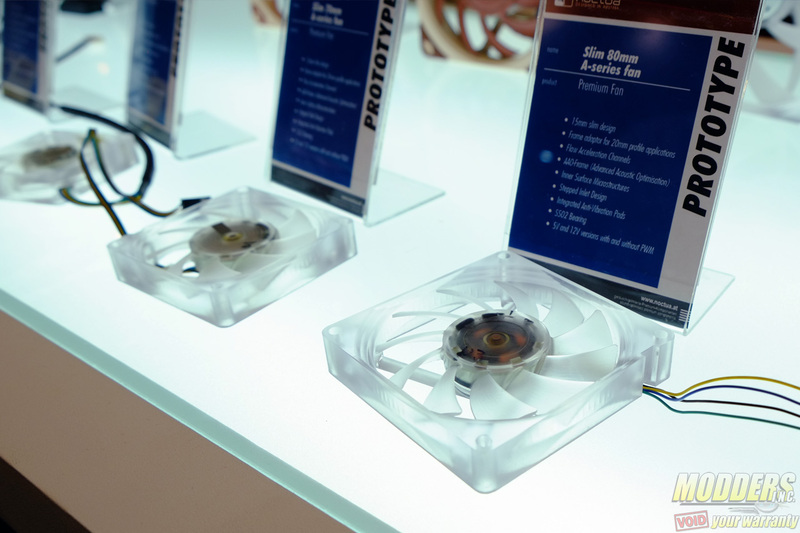 These make for ideal CPU cooling solutions as the slim design provides better clearance and the transluscent frame allows for LED customization compatibility. 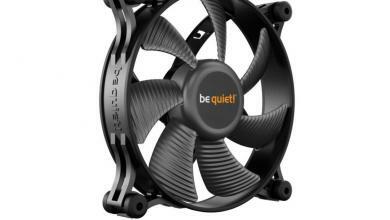 It would be interesting to see what modding projects come out using these fans. 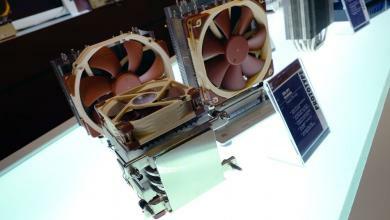 Also on display is a massive 200mm fan for the A-series. 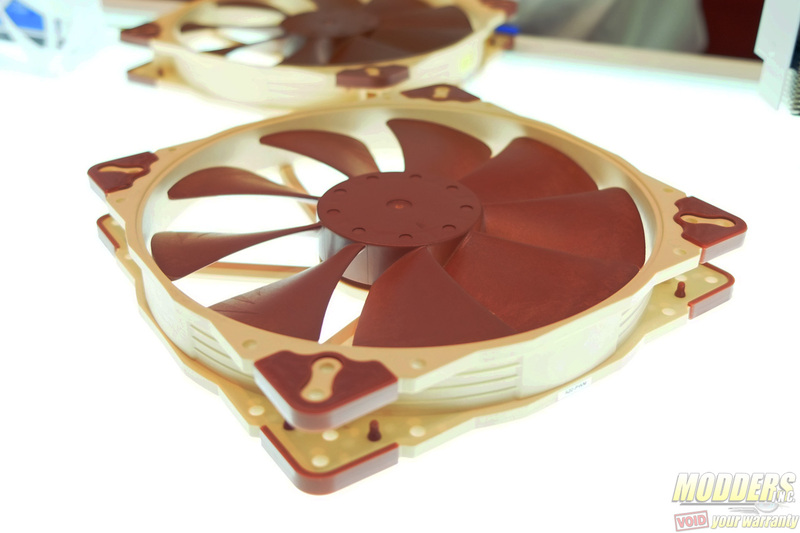 This large fan posed some engineering challenges for Noctua, they admitted candidly as the large size made the blade needlessly heavy and affected the operation beyond what Noctua quality demands. They have since then switched from fireglass reinforced PBT to fibreglass reinforced PP, which resulted in a 26% lighter impeller weight. This reduced weight and increasing axis diameter up to 4mm from 3mm improved load distribution further. 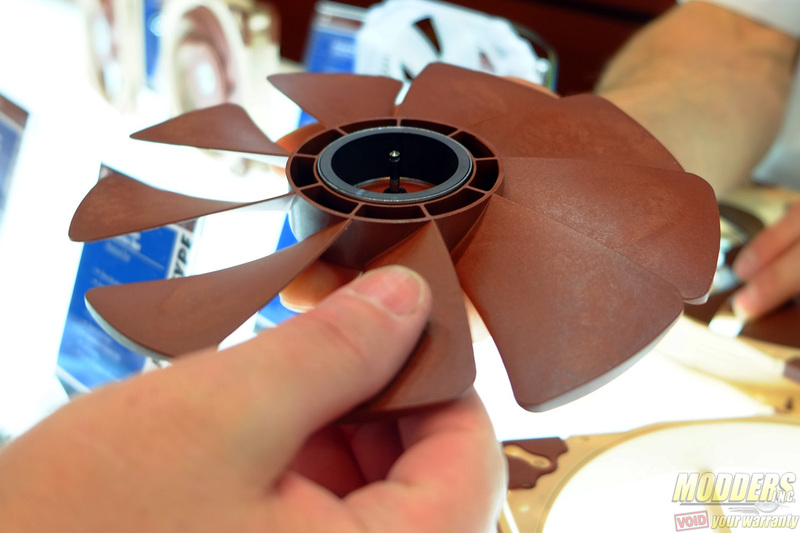 The new 120mm A-series fans are also sporting new materials for its impeller. 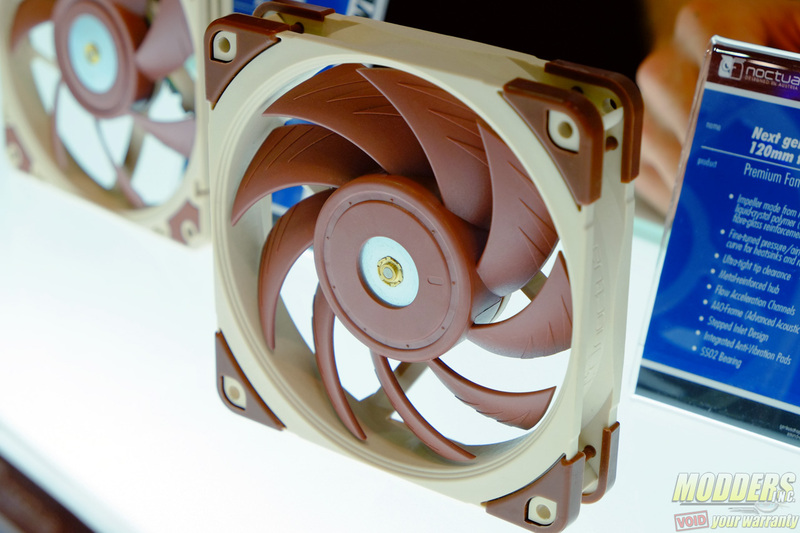 Noctua admitted facing design problems using their usual PBT on the new blades because of growth over-time affecting clearances close to the edge. 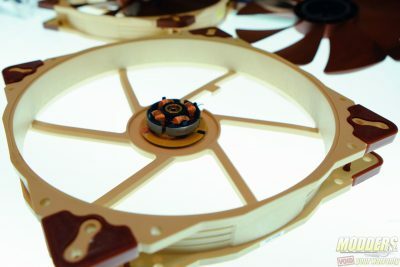 The solution they found is to use liquid crystal polymer (LCP) compound as well as structural modifications that help to reduce tensions in the plastic after injection moulding. 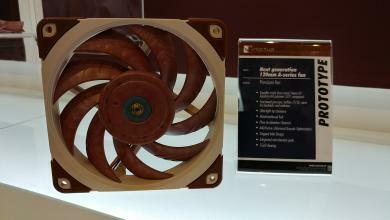 Both the 200mm and 120mm A-series fan sports the usual Noctua colors with padded corners but the 200mm A-series fan has a lot more mounting options since there is no single standard for fans of that size. 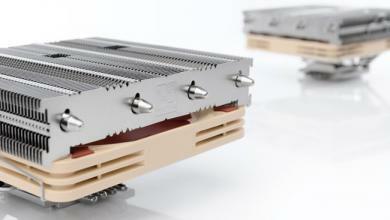 Noctua is still doing more testing and research before release which is projected to be towards the end of the year or early 2017. In addition to the new fans, Noctua also showed off more options for customization and modding for their coolers in the form of heatsink top covers. 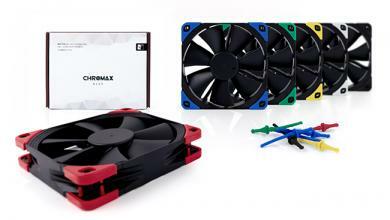 Noctua’s Chromax accessories initially offered color choices for the anti-vibration pads and anti-vibration mounts but the latest upcoming additions are simple, slip-on covers for popular heatsinks such as the NH-U12S and NH-D15S that allows users to customize the color and look without too much hassle. These top covers are available in all-black or all-white with interchangeable color in-lays for component matching inside their systems.